The 9th Annual Tailgate Alaska is underway! 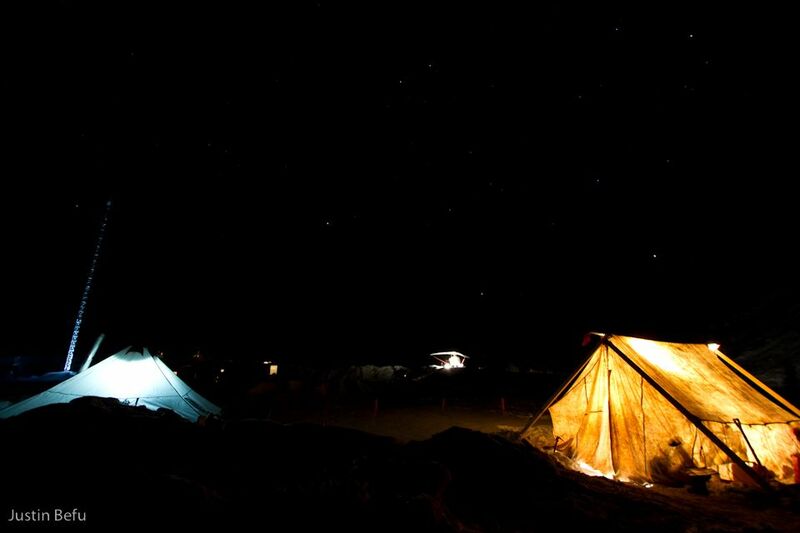 The first few days of the legendary event began with some weather and epic parties. After two days of weather, day three of the event broke blue. 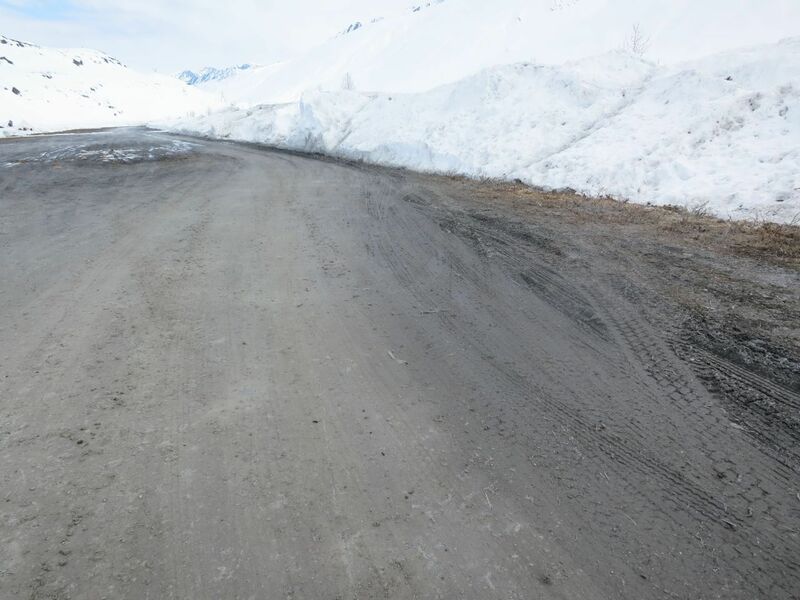 Just in time for the Valdez Banked Slalom. 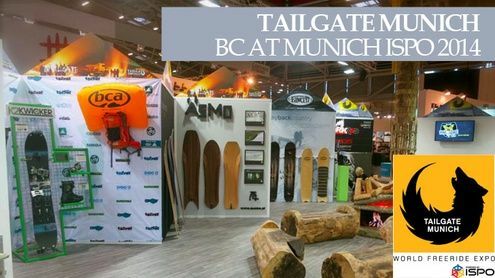 The World Freeride Festival & Tailgate Alaska are launching the second installment of the TAILGATE MUNICH World Freeride Expo at ISPO 2014 following the highly successful launch of the concept during last year's show. 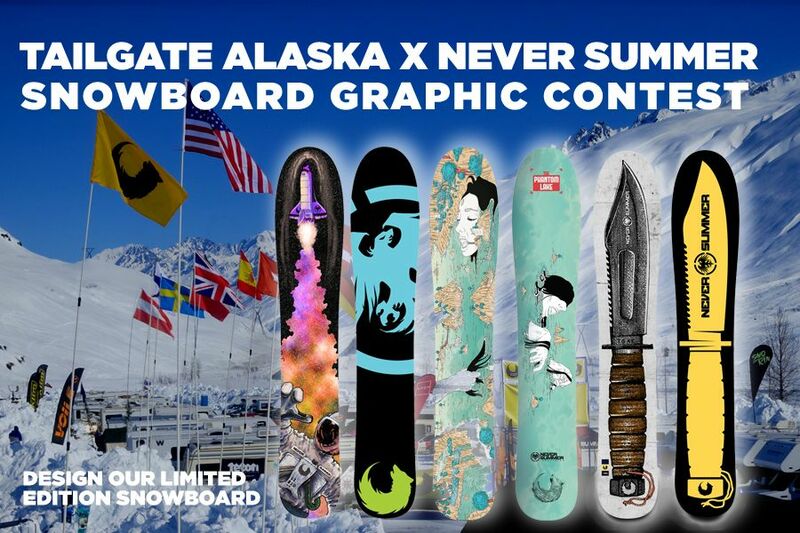 Tailgate Alaska is proud to announce our third collaboration snowboard with all American snowboard manufacturer Never Summer. 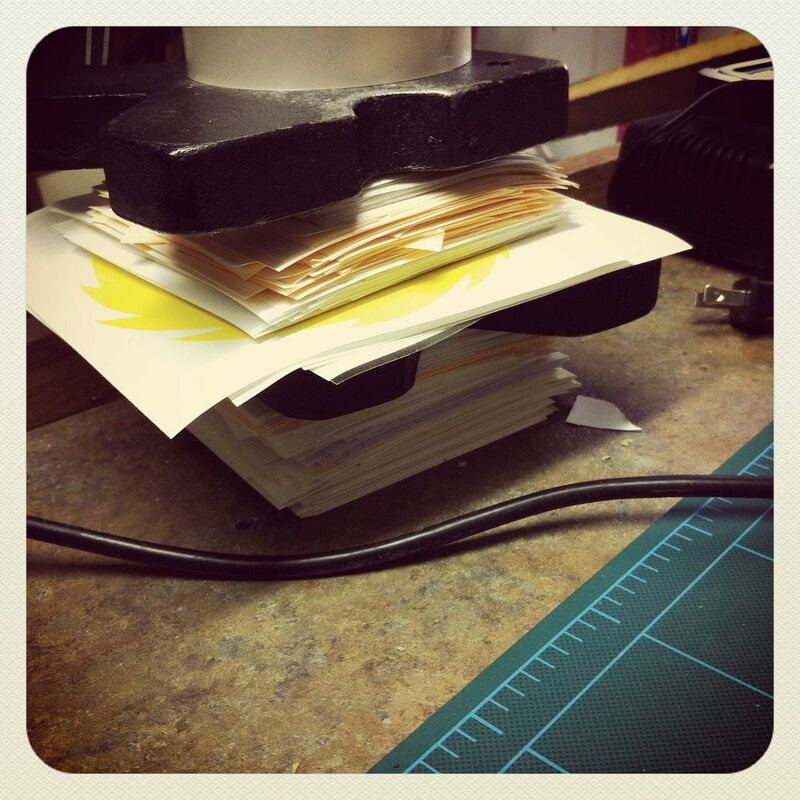 We are basing the design on Never Summer's new powder board - the Swift. 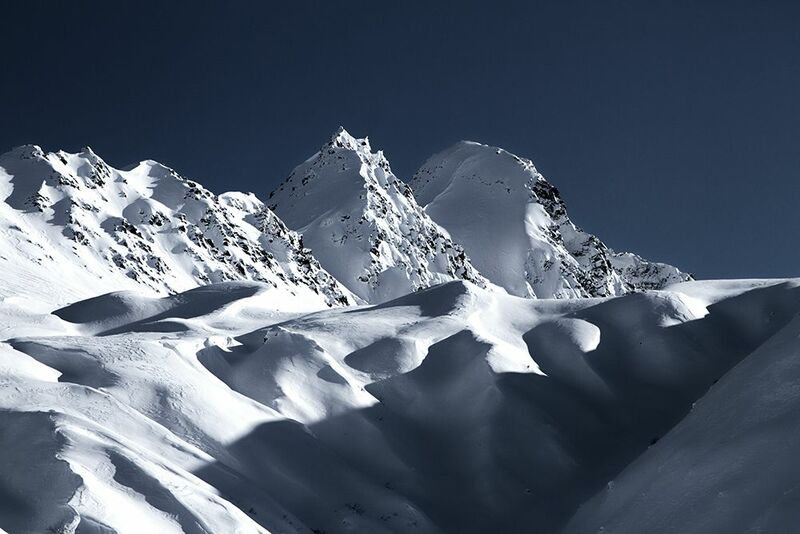 The limited-edition snowboards will be designed to perform in the most challenging mountains on the planet – Alaska’s Chugach Range. 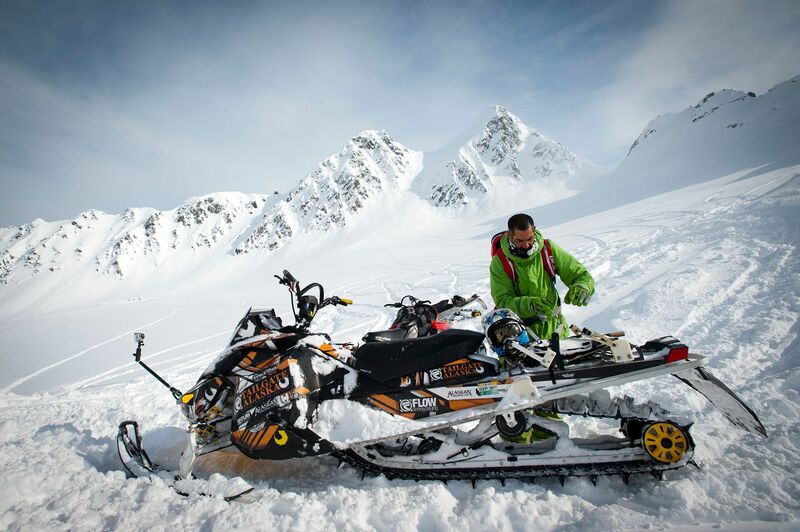 Valdez, Alaska - May 29, 2013 — Tailgate Alaska will return to Thompson Pass March 28 - April 6, 2014, bringing together dedicated recreational riders, professional athletes and the industry to ride the Chugach Mountains that promise the ultimate in terrain and conditions. 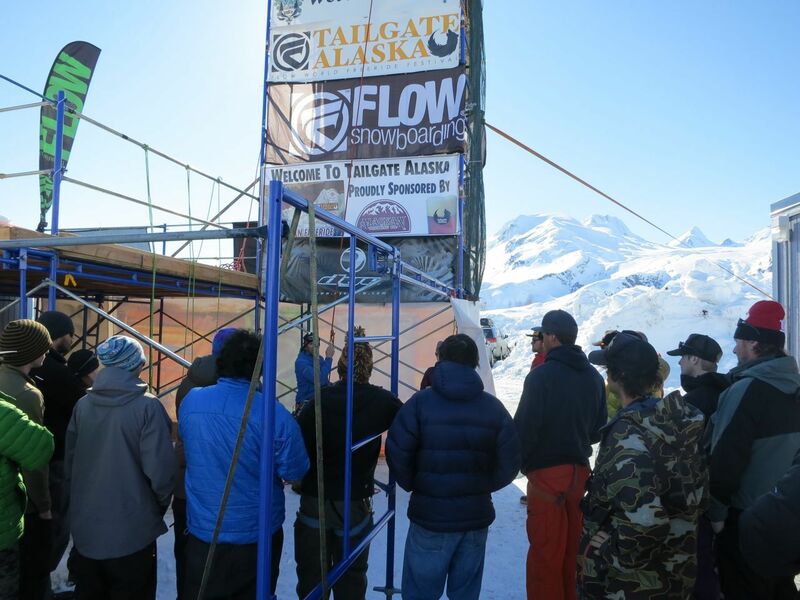 Tailgate Alaska 2013 was the largest year ever — with more participants and nearly 70% more media coverage than the previous year — marking the sixth straight year of growth for the event. 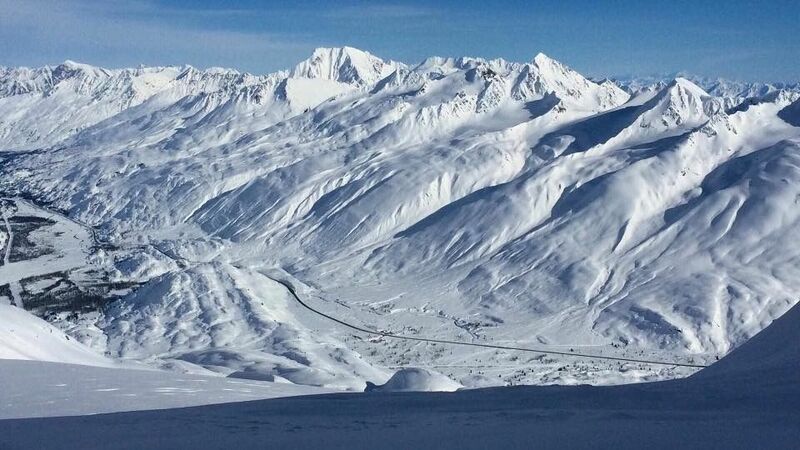 It's no wonder, as Alaska delivered again in 2013 with fresh snow, blue skies and some of the best, direct access on the planet. 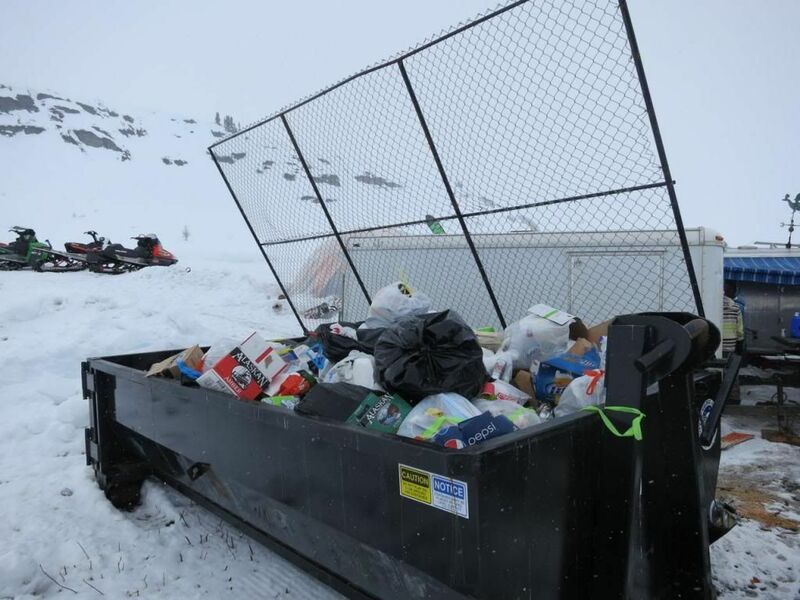 For the past four seasons there have been free snow-science classes on-site at Tailgate Alaska. 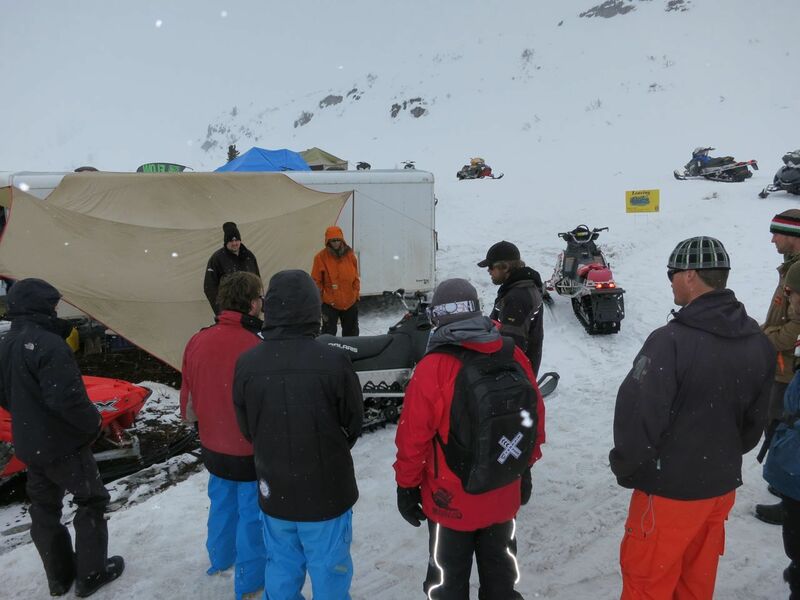 This year, Tailgate Alaska will take the message of backcountry safety much further. 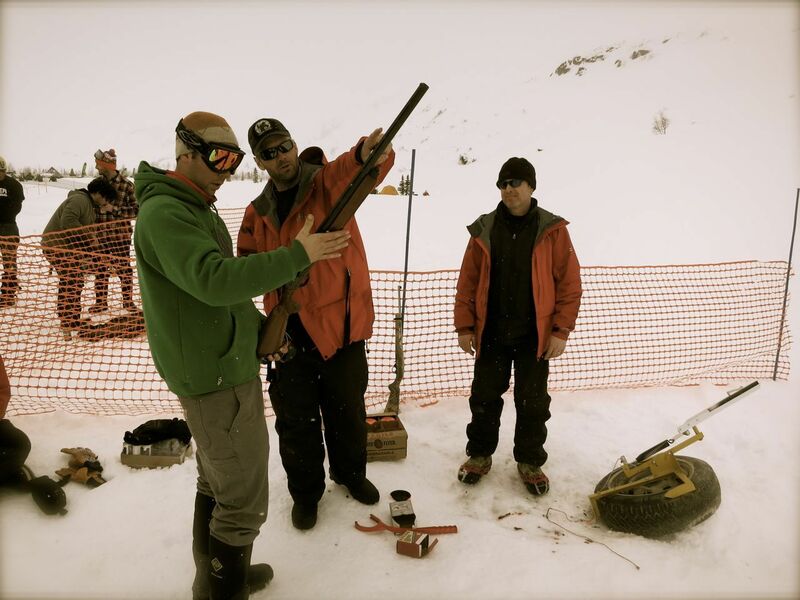 Tailgate Alaska will distribute those full-duration snow-science classes online with a webcast series — geared to making any backcountry participant better prepared. 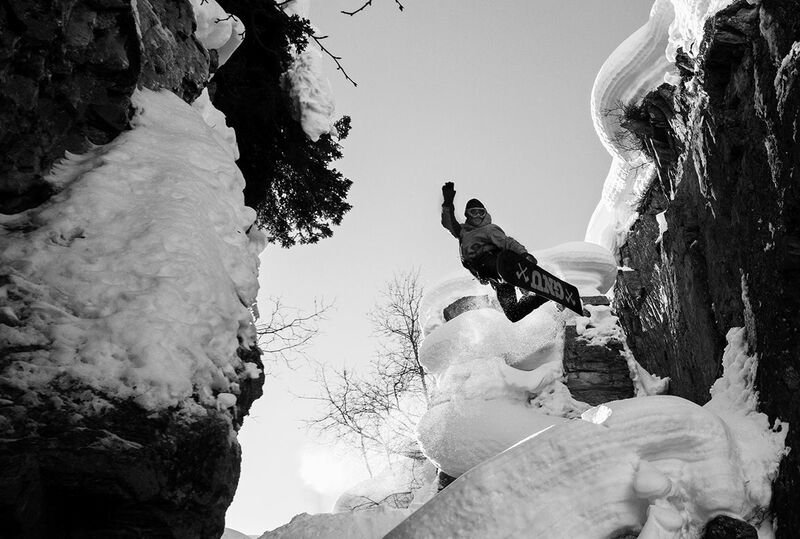 “It has become clear that the new direction in freeriding is venturing deeper and farther which entails much greater personal risk. 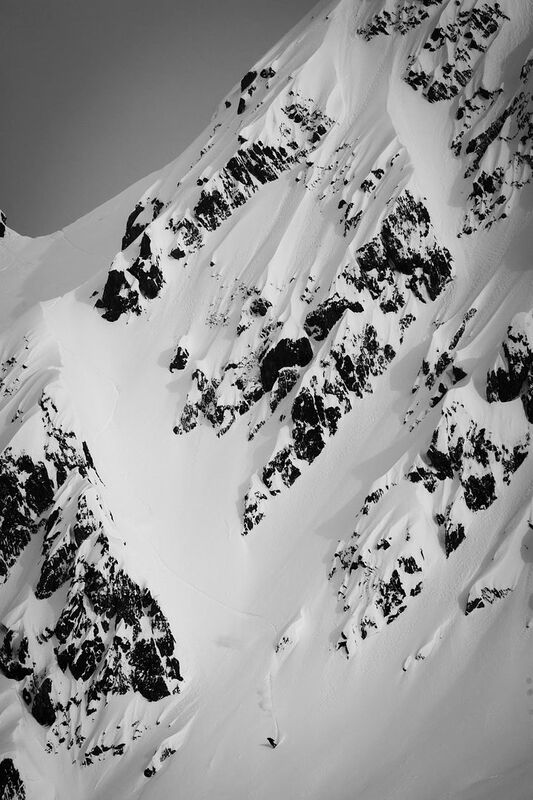 It is our responsibility as an industry to ensure that backcountry participants have the tools they need to make sound backcountry decisions,” according to event founder Mark Sullivan. 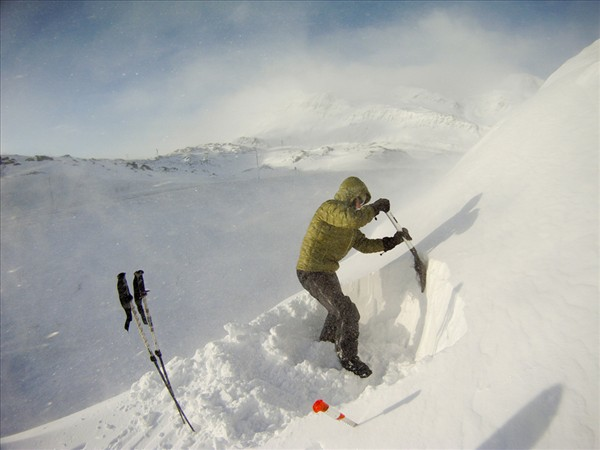 The 12-part video series will premiere October 1, 2013 with half of the videos emphasizing hands-on avalanche education along with safety and rescue techniques. 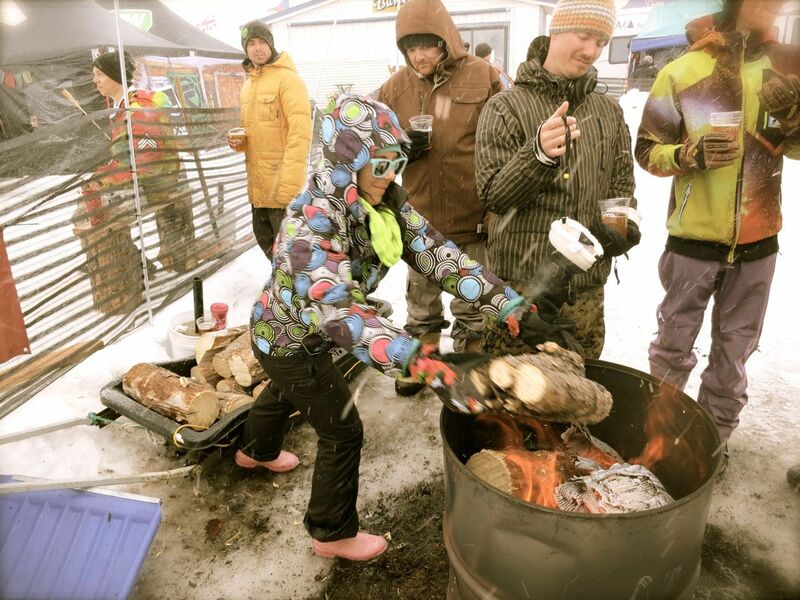 The other videos will feature excerpts from the overall Tailgate Alaska experience — including riding, basecamp personalities (with a few outtakes), Man Games and other unique aspects of Tailgate Alaska. 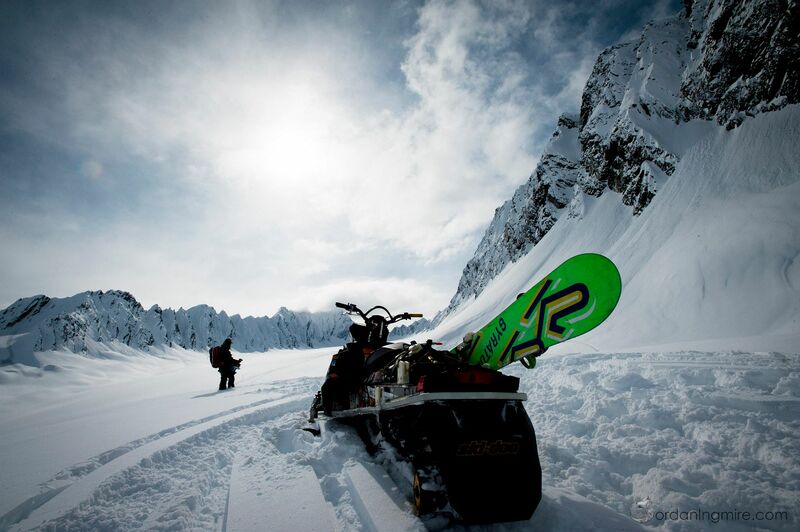 Tailgate Alaska also plays host to the World Freeriding Championship — which will introduce a new format for 2014, allowing riders to capture their best riding on video anytime during the event window. 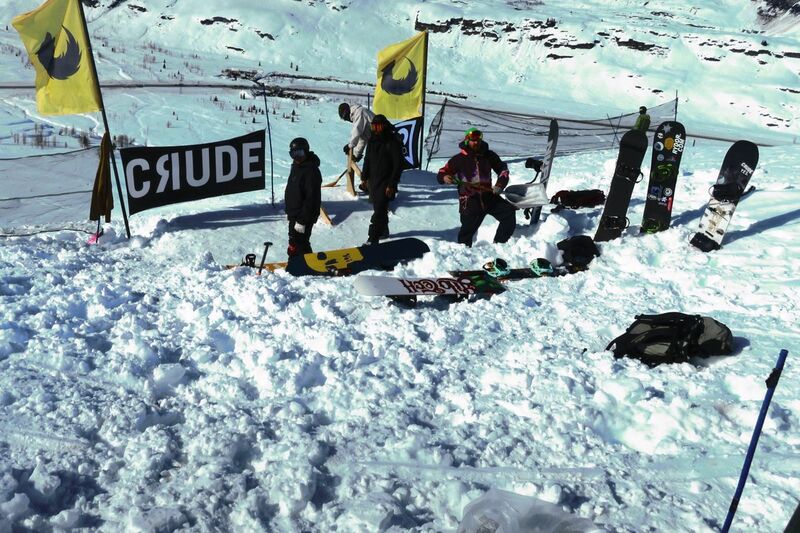 More news on the 2014 World Freeride Championship to come. Tailgate Alaska 2013 — All safe. 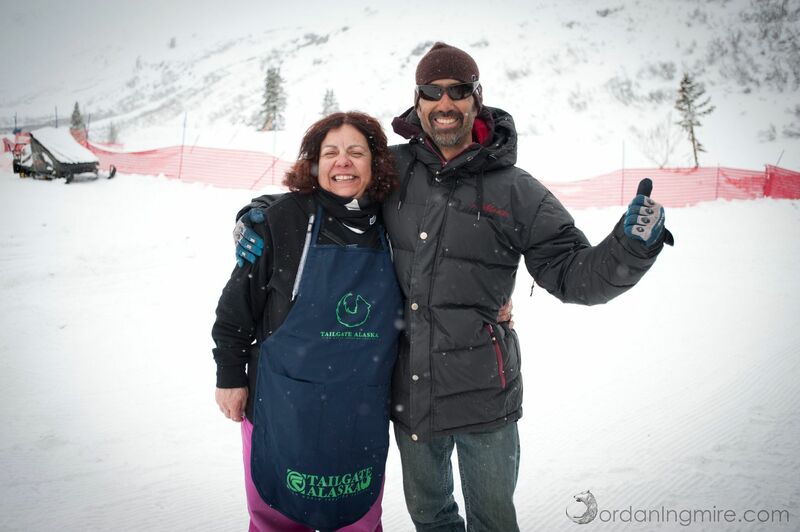 We are pleased that Tailgate Alaska 2013 was such a resounding success. 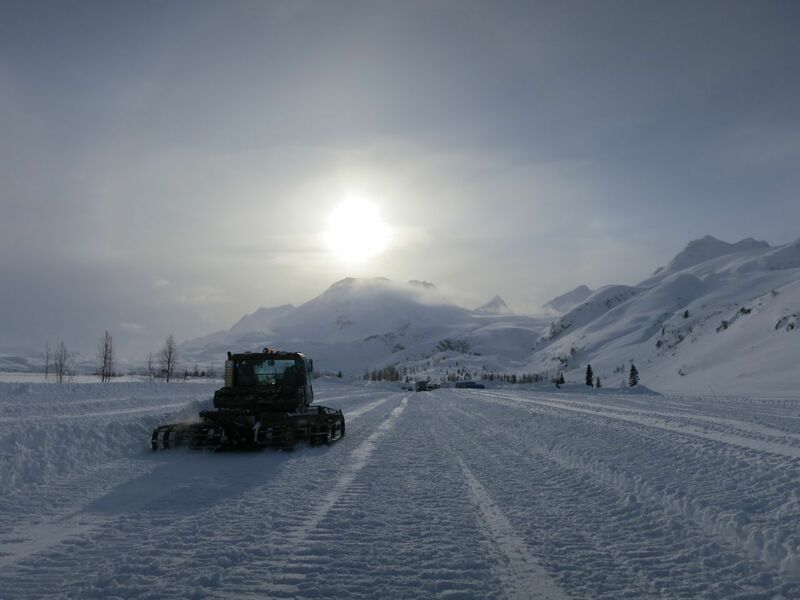 Almost 500 people came to Thompson Pass to experience the Chugach for themselves, and the mountains delivered with stable snow pack, deep snow and beautiful weather. Here are some photos from Tailgate photographer Justin Befu. David Biner, humbled by the magnitude of it all. Pryce 'The Situation' Brown flys over basecamp. Moss Halladay paints a sweet line in the Books. The powder turned out for Tailgate. Many new areas were explored, and many new risks uncovered. 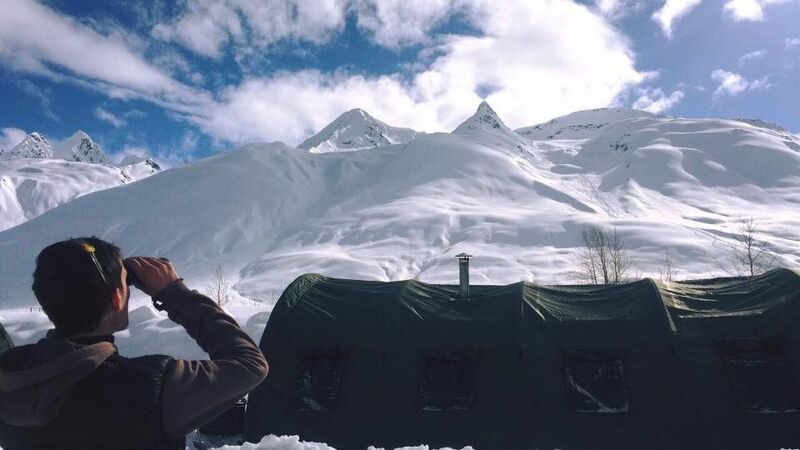 Deep glacier travel is always risky business. 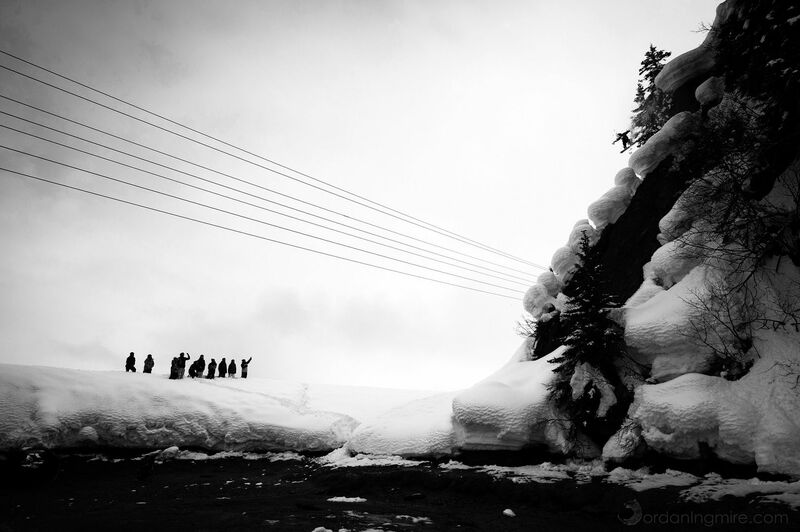 Planning is underway for Tailgate Alaska 2014 — stay tuned! Tailgate Alaska 2013 is happening. 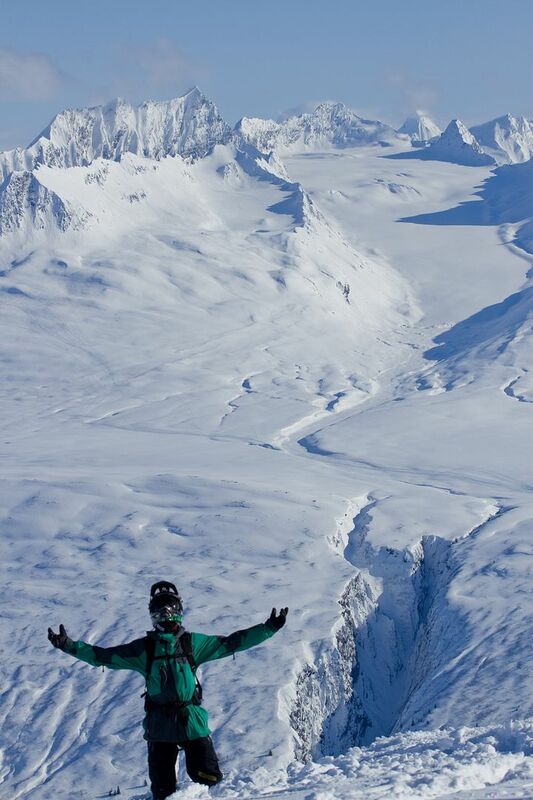 It has been an amazing week here in Alaska. Full of places to explore, unique experiences and new friends. 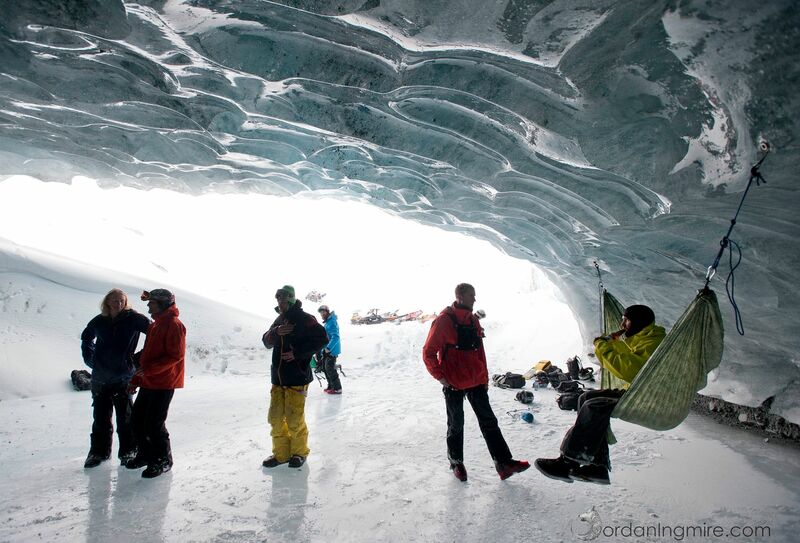 Hanging out inside a glacier. 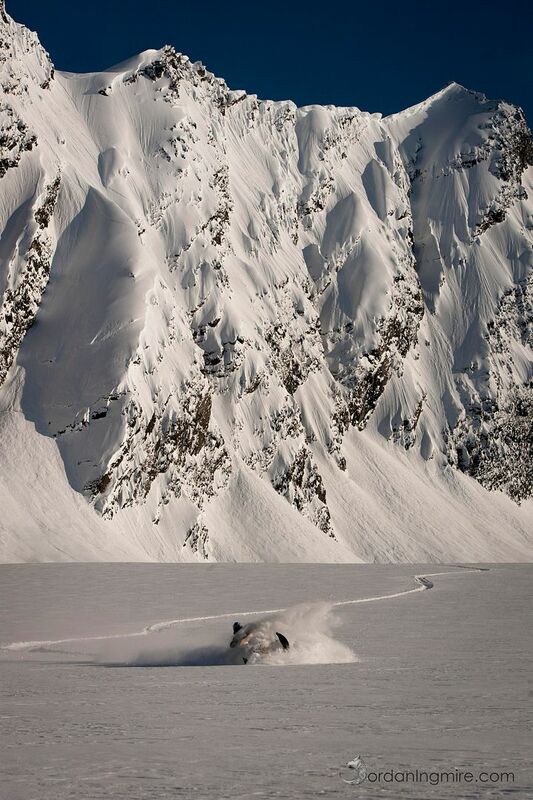 Mikey Mahron finds a nice line near town. Tim Wesley from Shark Snow!! in his demo tent, literally." Lots of tents this year at Tailgate. Photographer Justin Befu with Pam Robinson. Then there are the lines. Justin Befu hangs out below Python. This has been our best Tailgate Alaska ever! 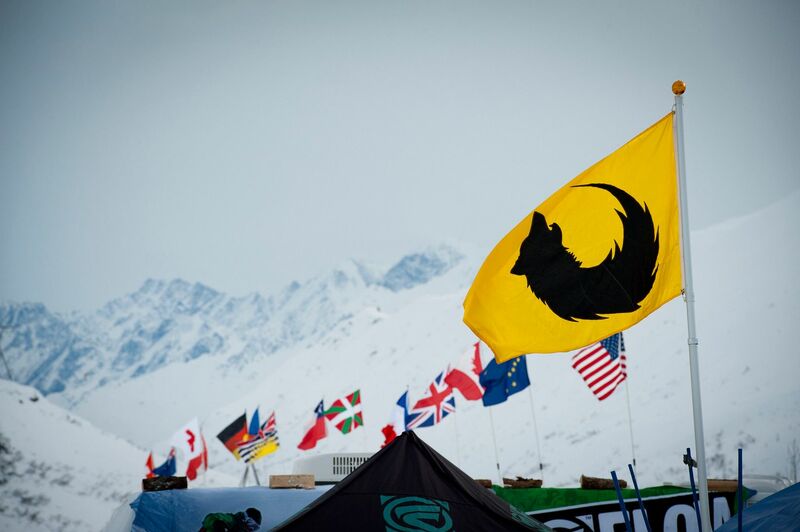 We have been up on Thompson Pass getting ready for Tailgate Alaska 2013. 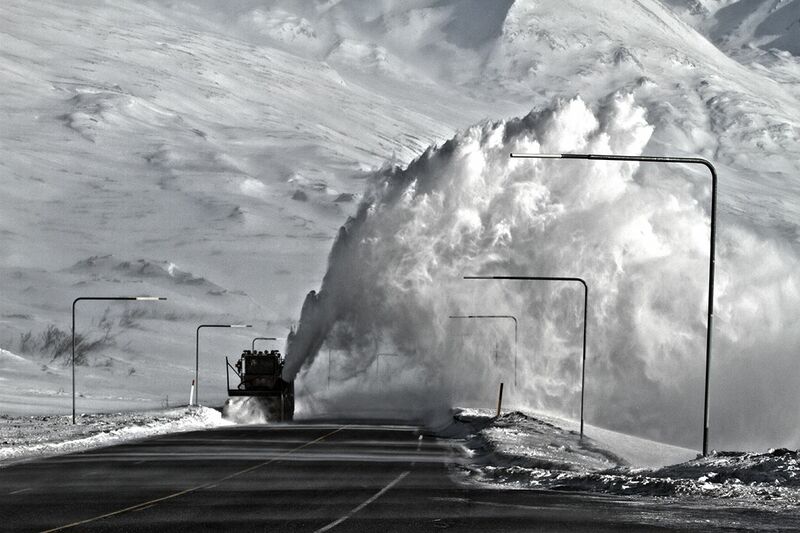 We arrived on Thompson Pass after a smooth 60-hour drive from Idaho to a blizzard warning. It started snowing as soon as we hit the pass. 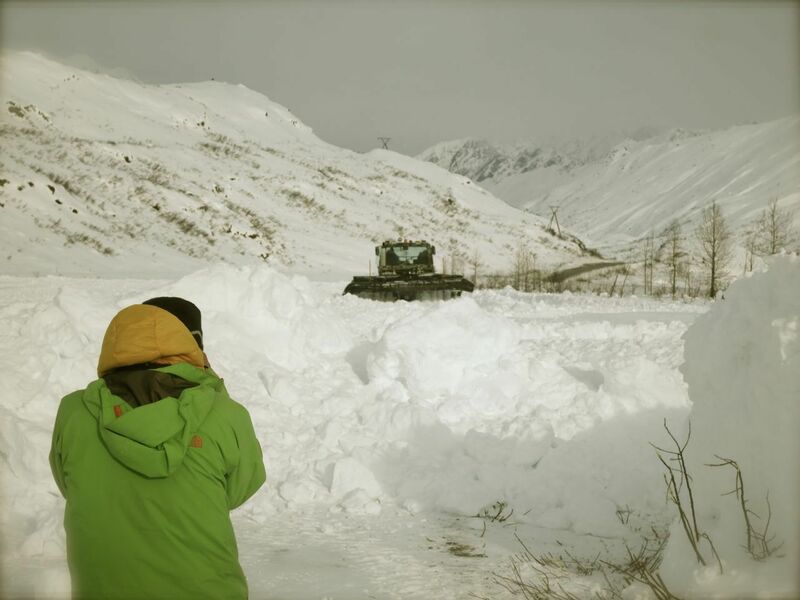 We got our snowcat (the legendary "Whitey") up the pass and went to work plowing the lot. The mountains filled our view with whitecaps as we began setting up. 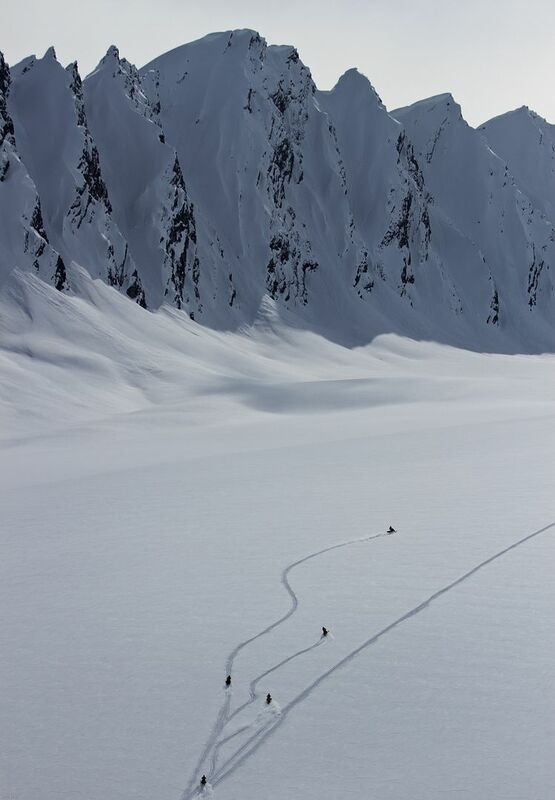 We hooked up with local ripper Danny Delozier to find some pow lines on the pass one clear day. One week to go — and we have already caught the Northern Lights twice! 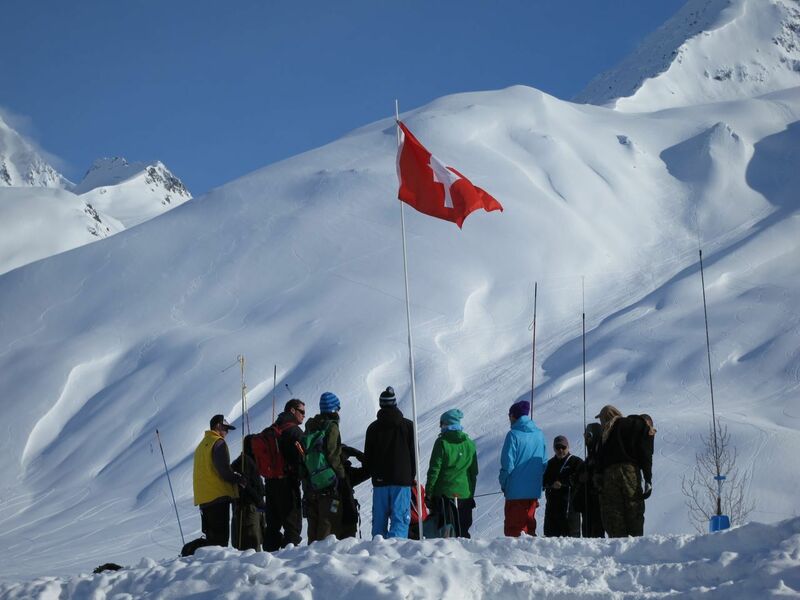 Snow Science classes are taught each day at Tailgate Alaska by the Alaska Avalanche Information Center. 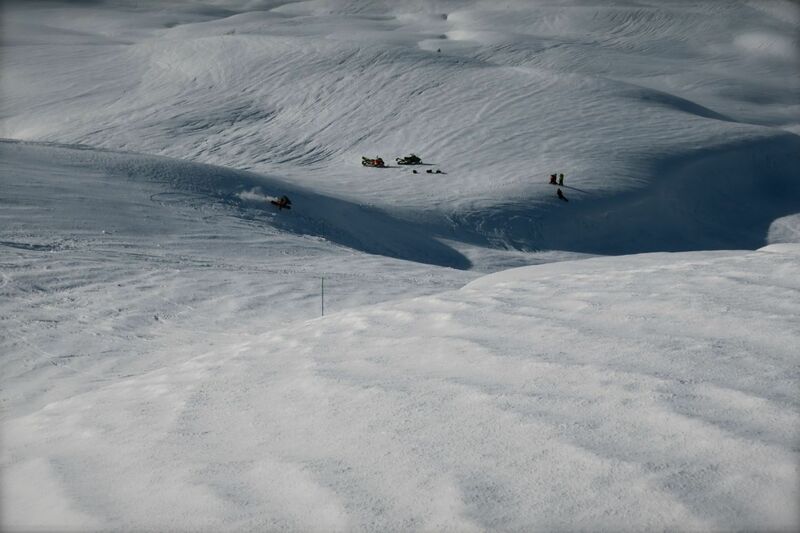 Daily sessions cover topics like Glacier Travel, Companion Rescue, Crevasse Rescue, Strategic Shoveling and other relevant subjects. The classes are taught every evening beginning March 30th and have a value of $70. 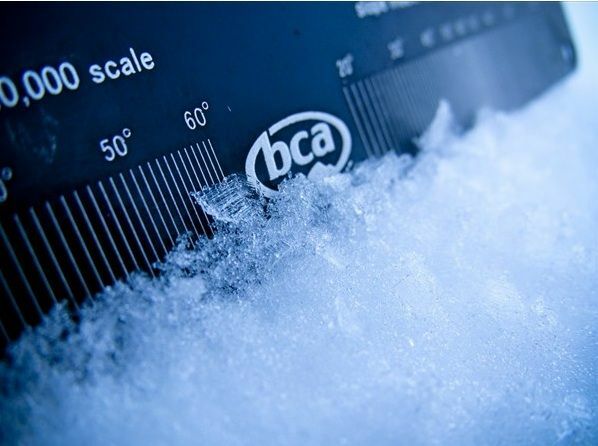 The total value of the snow-science education, if you take advantage, is worth $630! 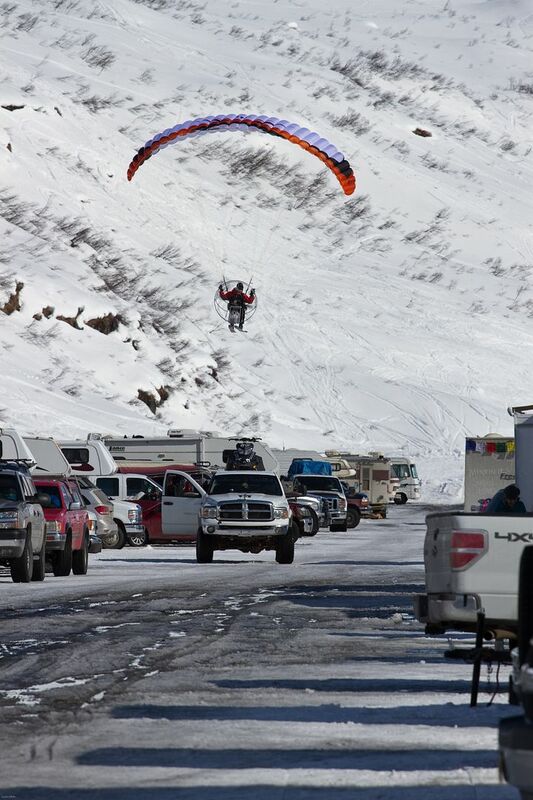 The parking lot: Last year, the Tailgate Alaska base camp was buried in 10'+ of packed-in snow when we arrived. 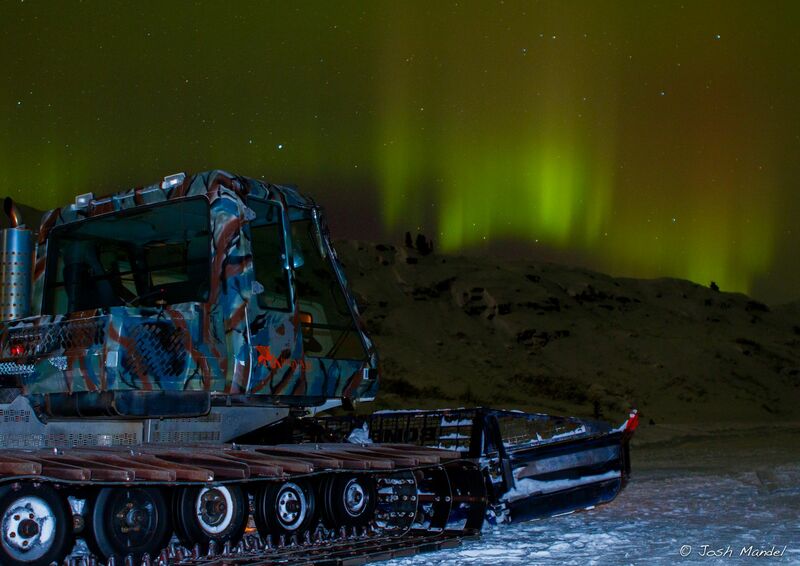 Our goal is to create the largest lot, then utilize the snow cat for more creative options. Day Franzen, heads up the cutting — and if we don't wear him down with too much plowing, there should be some 'playful' terrain around camp for the down days. Either way, $50 of your ticket goes toward clearing/sculpting the lot. 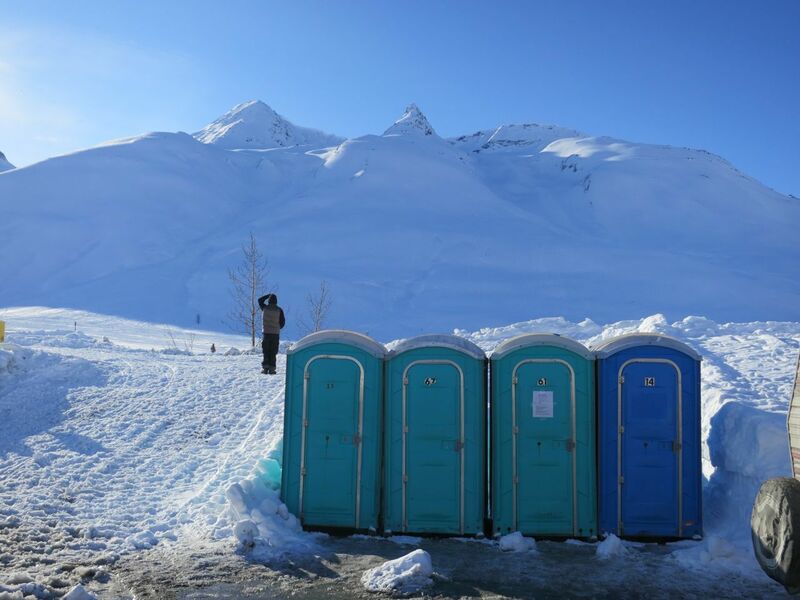 Porta-Johns: a necessary evil. 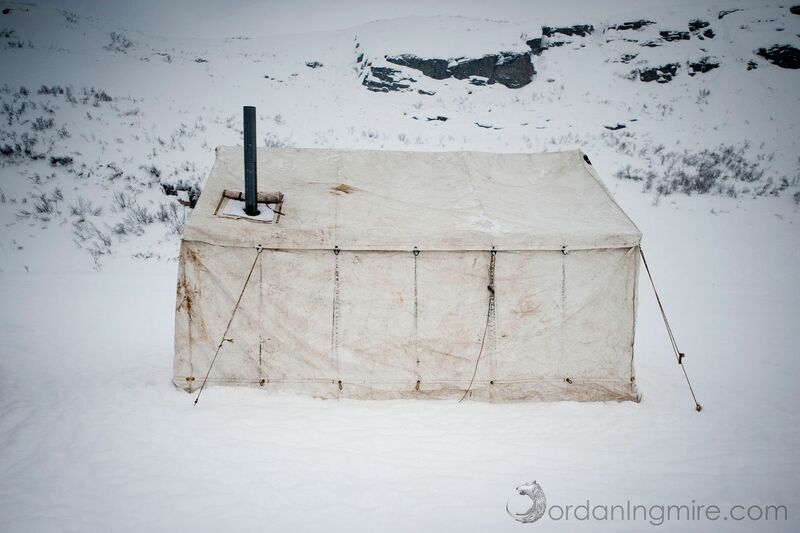 These are provided not only for our guests' comfort, but to keep our beautiful Alaskan landscape clean. 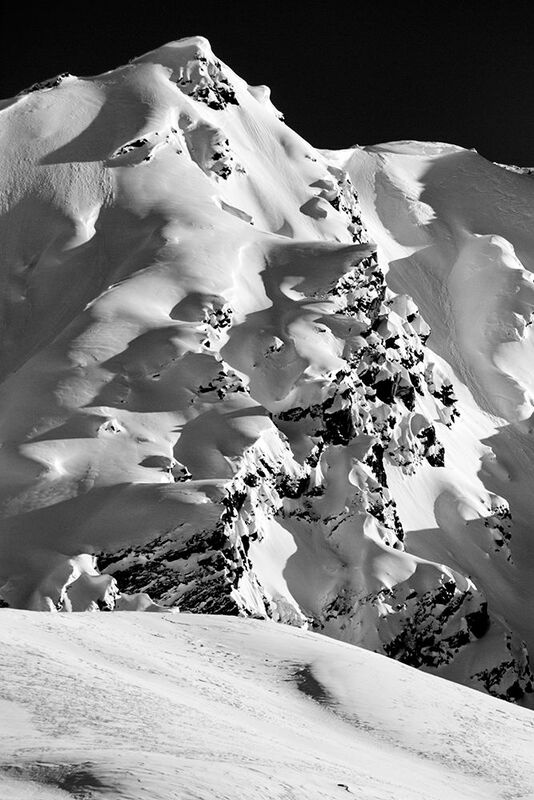 Most vital, is providing a rescue crew — actually, the world's most experienced backcountry safety team, drawn from around North America. They're ready to mobilize into the backcountry if you do make a mistake — chances are they are the ones who will scrape you off the mountain. 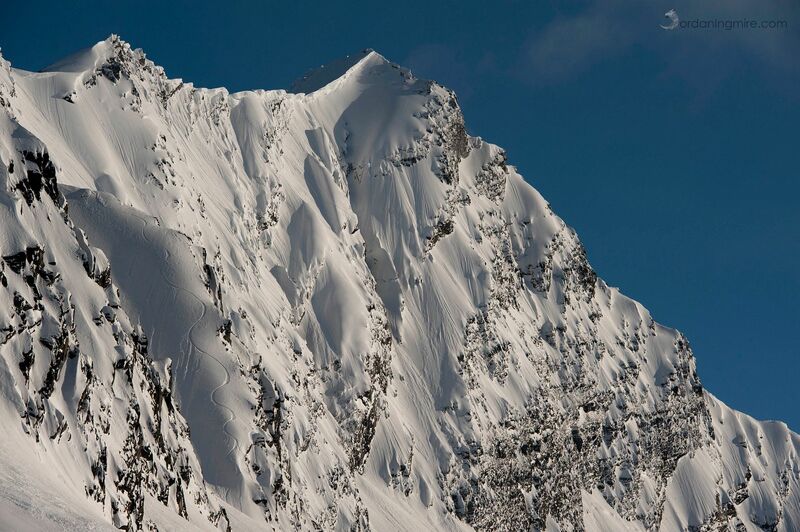 While this isn't an official part of the ticket price (as all rescue operations happen outside of Tailgate Alaska in the backcountry), it's the peace of mind that is hard to put a price on. Total value of the Tailgate Alaska All Access Pass: $1230. 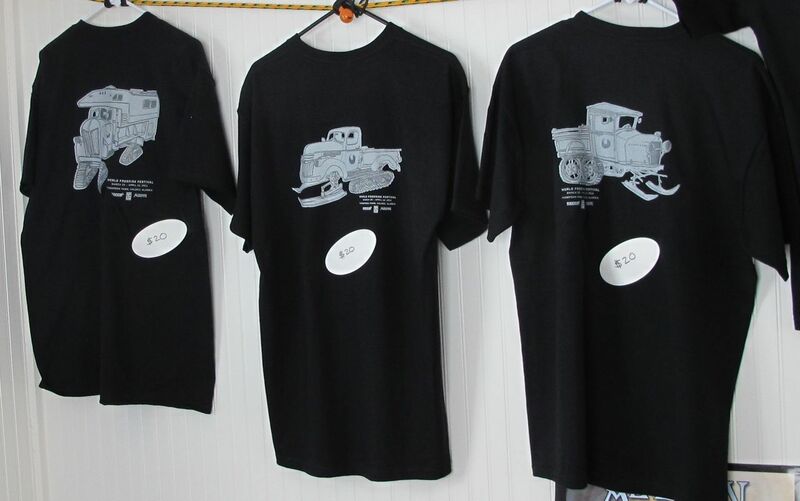 Total value of merchandise you get with your ticket: $260. 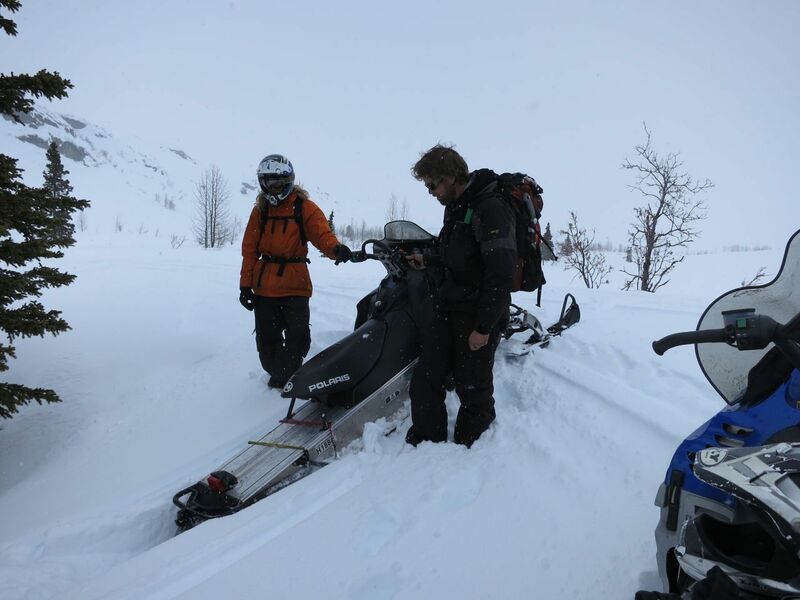 Peace of mind from the on-hand rescue crew: Priceless. 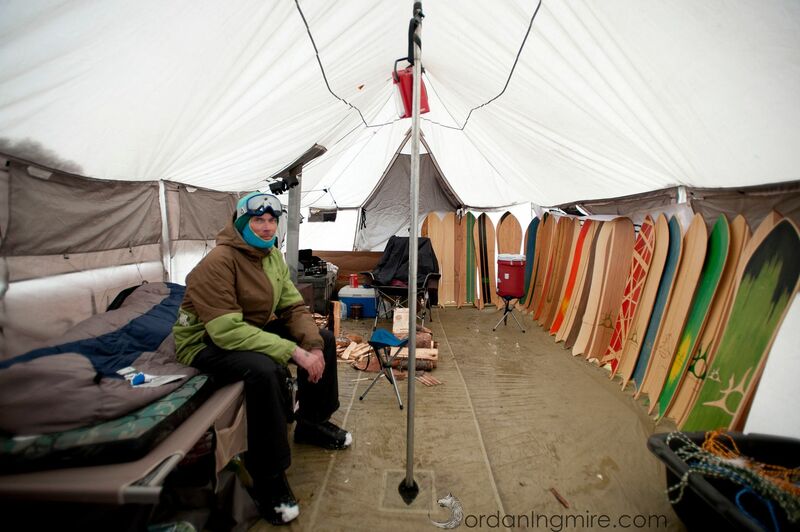 With such an extensive value package, it shouldn't be too hard to get your money's worth and more at Tailgate Alaska.